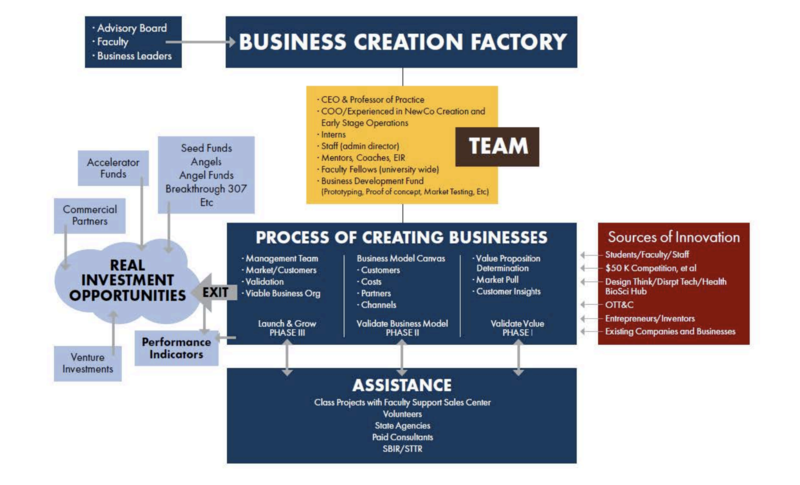 A diagram from a report to the UW Board of Trustees illustrates the plan for the creation of a "business creation factory" within the new Institution of Innovation and Entrepreneurship. A new effort at the University of Wyoming is designed to turn academic research into businesses. The creation of the Institute of Innovation and Entrepreneurship got a vote of approval from the UW board of trustees last week. The partnership between the Colleges of Engineering and Business, grew out of President Laurie Nichols’s 5-year strategic plan. Engineering Dean Michael Pishko said there are similar efforts already underway at the university, but in isolated pockets. He mentioned the success of the Wyoming Technology Business Center, and said President Nichols wants to expand these types of opportunities across all disciplines at the university. Faculty and students come up with great ideas, Pishko explained, but don’t necessarily have business skills. The “factory” is to help demystify entrepreneurship, which Pishko said will benefit Wyoming’s economy. Pishko said a professor of mechanical engineering was involved in research to improve football helmet technology, which received national attention at this year’s Super Bowl. But he said that product is now being produced by a company out of Colorado. Pishko said the goal is to keep those ideas in Wyoming. Sheridan has attracted a firearms manufacturer that is expected to provide between 70 and 90 jobs. Weatherby Inc. announced Tuesday that it will relocate its manufacturing operations to Sheridan after over 70 years in California. 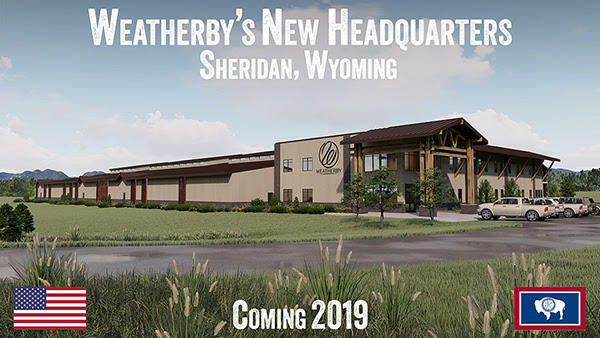 Weatherby said it is coming to Sheridan because of its available workforce and Wyoming’s business-friendly environment. Sheridan City Administrator Mark Collins said the community is the site of a number of manufacturing companies, and he thinks that helped attract their business. The Wyoming Legislature spent roughly $40 million on a variety of economic development initiatives aimed at creating jobs and diversifying the economy. Some left the session very excited about what they did while others were anxious. 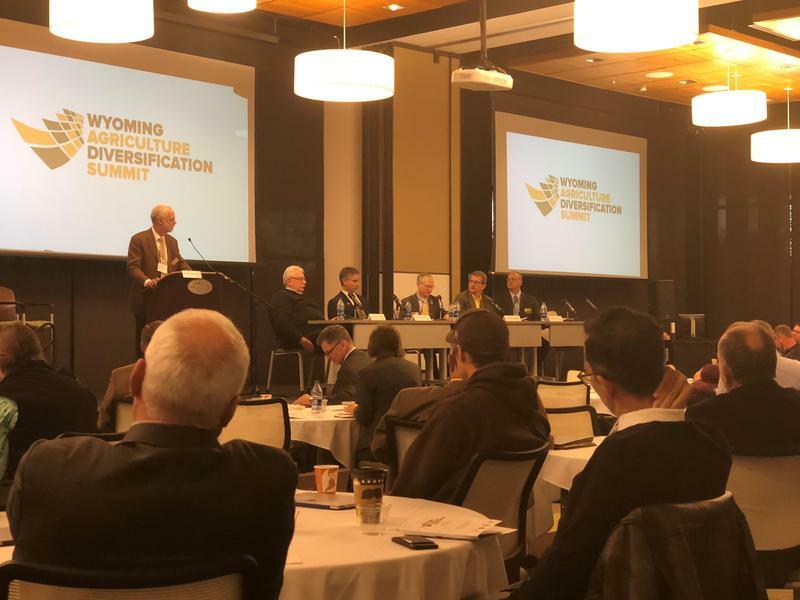 Northwest College in Powell hosted the first Wyoming Agriculture Diversification Summit this week. The two-day conference invited agriculture business leaders from around the country to present innovative ideas to state producers and business sponsors. David Stover, the owner of a consulting firm on innovation and strategy, said the key to innovation is to understand what assets and competencies already exist. He said two assets stand out in Wyoming, including access to water.